The annual conference of a radical American Islamist organization Dec. 18 whitewashed the threat posed by Muslim extremists in the United States and elsewhere, called upon its members and the broader American Muslim community to refuse to cooperate with congressional hearings on the threat of homegrown terrorism, and denounced critical U.S. counterterrorism tools that have stopped the majority of terrorist plots in the United States since the September 11th attacks. All of this came while the organizer, the Muslim Public Affairs Council (MPAC), seeks to be the anointed representative of the American Muslim community with law enforcement agencies. As the Investigative Project on Terrorism explained last week, the conference, entitled "The Struggle for America's Conscience," was set to showcase a slew of radicals and terror apologists on its program. Speakers included a leader of a Virginia mosque whom law enforcement officials consider to be "associated with Islamic extremists." Also in attendance were a director of a group founded by the Muslim Brotherhood with a history of radical statements and MPAC officials with their own record of undermining law enforcement counter-terror efforts. As expected, despite false promises to have an "honest" conversation about the role of the Muslim community in the United States, the conference focused on a unrelenting campaign blaming terrorism on American law enforcement and so-called "Islamophobes." Reporting on the conference today, the Los Angeles Times presented a completely sanitized version of the event, ignoring any radical comments and instead reporting briefly on the day-long conference. 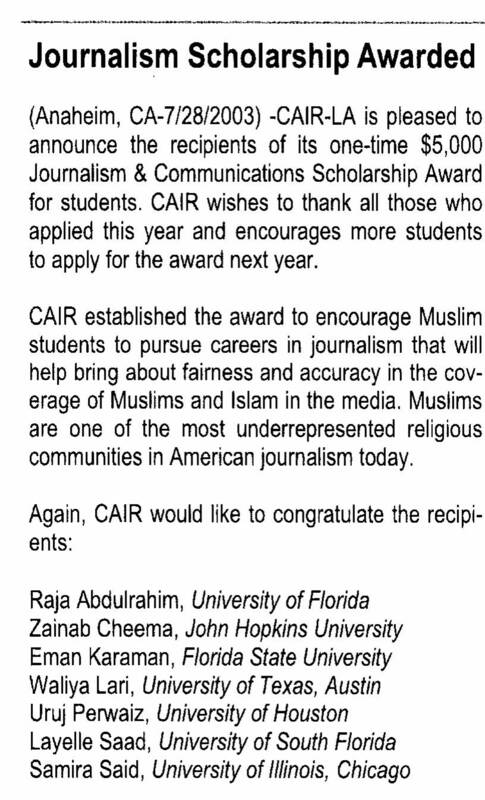 Perhaps that's unsurprising, since the Times reporter covering the event, Raja Abdulrahim, received a scholarship from the Council on American Islamic Relations (CAIR), an MPAC ally. An IPT News report shows Abdulrahim's college education was helped by a $5,000 CAIR scholarship awarded in 2003, according to a CAIR-California newsletter. As a student, she wrote several guest columns and letters to the student newspaper that were harshly critical of Israel or of U.S. policy after 9/11. That may explain her lackluster "reporting" on the MPAC conference. While MPAC has long downplayed the threat posed by Islamic extremists, speakers at this weekend's convention took every opportunity to attempt to falsely redefine the meaning of jihad, sanitize Islam's role in inspiring radicalization, and allege that Islamophobia is, in the words of MPAC Director of Policy and Programming Edina Lekovic, "our biggest enemy." These claims, which are an obvious attempt to silence critics of radical Islam, directly contradict how actual jihadists say that Islam requires their attacks. The failed Times Square bomber, Faisal Shahzad, for example, explained his motives for the attack at his plea hearing on June 21, 2010. "I want to plead guilty and I'm going to plead guilty a hundred times because until the US pulls its forces from Iraq and Afghanistan and stops the drone strikes in Somalia and Yemen and in Pakistan and stops the occupation of Muslim lands and stops killing the Muslims and stops reporting the Muslims to its government, we will be attacking US, and I plead guilty to that," Shahzad told the judge. "I am part of the answer to the U.S. terrorizing the Muslim nations and the Muslim people, and on behalf of that, I am avenging the attacks…I consider myself a mujahid, a Muslim soldier." Numerous speakers denounced what they viewed as the "continued rhetoric and conflation of Islam and terrorism and Muslim Americans and terrorism," with civil rights attorney Reema Salahi leading the charge. Calling this "threatening to Islamic youth," Salahi said it was "unfair" to equate American-Muslims with terrorists "overseas, who I've never met." While it would be enough to dismiss this as hyperbole from someone who invokies the false claim of Islamophobia at every turn, her choice of words is interesting. Salahi was a fundraiser and participant on a convoy organized by Viva Palestina, an organization that has funneled millions of dollars to Hamas under the guise of humanitarian assistance. Beyond leaning on the crutch of Islamophobia, panelists suggested that Islamophobia rather than Islamism is the root cause of terrorism. Rashad Hussain, who has personally defended Sami Al-Arian, the American leader of the Palestinian Islamic Jihad (PIJ), said that "conflation of terrorism and Islam is dangerous and feeds the narrative of terrorists." President Obama's special envoy to the Organization of the Islamic Conference (OIC) has previously advocated a politically correct use of language, eschewing references to "Islamic terrorism" and "Islamic extremist" and recommending they be replaced with references to "al-Qaida terrorism." It is this type of paranoid conspiracy theorizing that feeds the false narrative that there is a "war against Islam." Salahi claimed "there is definitely a sense of nativism in America that has caused a lot of Muslim youth to feel targeted, and they feel the targeting is not just coming from their peers, but from the government, and that makes it difficult for them to feel connected to America. "However, Shahzad's case shows that much of that isolation actually comes from false claims that the United States is engaged in a "war against Islam," a narrative that MPAC pushes. Maher Hathout, who has previously argued that Islamophobia lies with those groups that are "exploiting the fear of the country after 9/11, and the agitation of the previous administration to spread lies about Islam," used his time at this weekend's conference to attack critics of radical Islam as "Muslim bashers." Despite a slew of homegrown terrorist plots in just this year alone, Hathout repeated his revisionist claims that jihad has nothing to do with violence. "I am so protective of the word and concept of jihad," Hathout explained. "We define what jihad is, not anyone else, and jihad has nothing to do what they are talking about." He said this although terrorists themselves invoke Islam to justify their violent jihad. For example, Al-Qaida in the Arabian Peninsula (AQAP) leader Anwar al-Awlaki took to the pages of Inspire magazine to draft a point-counterpoint style response to the March 2010 Mardin Declaration —a fatwa issued by global Islamic leaders in an attempt to undermine radical jihadist rhetoric. Awlaki said western Muslims should and must wage violent jihad to topple the non-believers—contrary to what the declaration asserts. In the short time since Inspire's release, Awlaki's words have spread rapidly on jihadist forums. Former Hizb ut-Tahrir recruiter Majid Nawaz summed up that narrative in an interview with '60 Minutes' correspondent Lesley Stahl: "America is waging a war against Islam, invaded Iraq because it hates Muslims, invaded Afghanistan because it hates Muslims. And that the only way to stop this war is for Muslims to start fighting back on all fronts against the West." "It still surprises me when I reflect on it; I mean, I was quiet (sic) open about my beliefs online and it didn't take a rocket scientist to figure out that I was al-Qaida to the core. "That proved to my soul that if Allah wants to protect you, no one has the power on earth to harm you. I was to learn that lesson continually in close encounters with death later on." 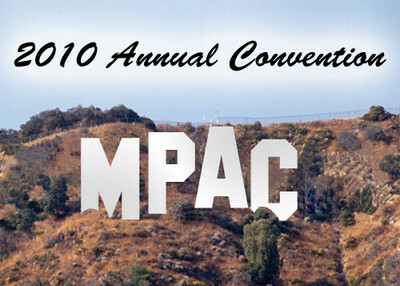 At the MPAC convention, Hathout went a step further than attempting to separate Islam from violent jihad, arguing that while there may be violence in the Muslim community, "we have to understand that there are very real grievances of Muslim community, or Muslim youth, who are seeing people killed and maimed and stampeded all over the world and robbed of their legitimacy of human beings." Hathout doesn't, however, identify the cause of these "real grievances." Is it Hamas and Hizballah, which have repeatedly called for the destruction of Israel, and whom MPAC has staunchly defended (see here and here)? Perhaps the "real grievances" are those laid out by AQAP in the second issue of Inspire. In an open letter to President Obama, Adam Gadahn, an American al-Qaida leader, spelled out the al-Qaida grievances that must be fixed before al-Qaida will stop its attacks. They include a complete withdrawal of U.S. forces from "every Muslim land from Afghanistan to Zanzibar," an end to support for Israel, and the elimination of any American influence—from the Peace Corps to media and educational programs—from Muslim lands. The refusal of the speakers at the conference to recognize that people in the Muslim community are carrying out acts of terrorism in the name of Islam is an obvious problem. The blindness to the threat of terror carried out in the name of Islam was shown when the participants answered this question from the audience: "Do you disagree with the notion that radicalism has roots in the mosque? And that the youth that join Islamist extremist movements in Somalia, Pakistan get their message from Imams?" Webb: Anwar al-Awlaki was not technically radical when he was at Dar al-Hijrah. He became successful when he went online. Abdul Malik: I think also after he was tortured. When he was with us he wasn't like that." As the IPT has previously reported (see here and here), while Awlaki may only now be responsible for inspiring acts of homegrown terrorism in the United States, he started issuing radical statements more than a decade ago while still in the United States. Awlaki participated as a scholar in a forum of the popular Islamist and then-Yusuf al-Qaradawi-linked website, Islamonline.net, the week after the 9/11 attacks. In it, he tacitly endorsed terror against Israeli civilians and denied that any Muslim extremists were a threat to Americans:"There is no Muslim who advocates killing American civilians. We haven't heard that before. If you are talking about Palestinians fighting in Israel, these are freedom fighters fighting an illegal occupation. Muslims have never targeted American civilians." After reviewing hundreds of hours of Awlaki's lectures from the United States, the IPT concluded that Awlaki's transformation "is not the case of a man going from moderate to radical, but of a man going from a radical orator to a top recruiter of blood-thirsty jihadists." Many of Awlaki's speeches were recorded in the late 1990s when he led Masjid Ar-Ribat al-Islami, a Sunni mosque in San Diego. Among the themes of Awlaki's speeches were the evil that surrounds Muslims in the West; arguments that U.S. foreign and domestic policy are controlled by "the strong Jewish lobbyists;" and most commonly, his disdain of Jews, whom he terms "the enemy from Day 1 to the Day of Judgment." Awlaki has repeatedly claimed that America is at war with Islam and Muslims, which is considered pivotal in radicalizing young Muslims and turning them to violence. He left the United States in 2002 and is now believed to be in hiding in Yemen. The IPT has previously detailed how MPAC "routinely speaks in defense of designated terrorist organizations, as well as individuals and charities that are supporters of terrorism; opposes U.S. counterterrorism measures as part of a consistent knee-jerk reaction claiming bias and discrimination behind law enforcement efforts; and reflects a blatant and conspiratorial anti-Semitism." This weekend's convention saw more of the same, as speakers condemned the recent string of thwarted homegrown terrorism plots as entrapment and selective prosecution by an overzealous and bigoted FBI. Criticizing the integral use of informants and undercover operations that Attorney General Eric Holder recently defended, Reema Salahi argued that the policies are "being selectively enforced on certain populations, and not on others." Not only is argument false, it is used to radicalize Muslim youth. Audience Member: Why does the American Muslim community seem resistant to accepting the notion that there are homegrown terrorists among us? What can we do to stop the radicalization of our youth? Salahi: There is concern that many of the acts of terrorism are promoted, or enhanced by law enforcement. It is troubling for me when people who are disenfranchised are being taken through this terrorism narrative, we need more Muslim youth groups to take these kids in so they are not led to a violent narrative." More than simply condemning the use of informants, Salahi defended Imam Luqman Abdullah, a radical Islamist killed by police in a shootout that has become a cause célèbre for American Islamist groups. Abdullah preached offensive jihad and used his mosque for training in martial arts and with firearms. He was recorded in a 2004 sermon yelling, "Police, so what? Police die too! Feds die too!" and "Do not carry a pistol if you're going to give it up to police. You give them a bullet." Following his death, groups like MPAC and the CAIR came to his defense, condemning the police for excessive use of force and targeting Muslims. Salahi argued that Abdullah was "framed as a terrorist." "What utter B.S. The kid is seriously ill and was set up by the Mossad and CIA. When you people are brave enough to confront the 'entrappers' kids will find out about this serious criminal activity. Spewing back the official line of the blatant lies and propaganda is what's helping the enemies of Islam slaughter millions of us and hell breaks loose when one single criminal of them gets what they deserve for killing the innocent." 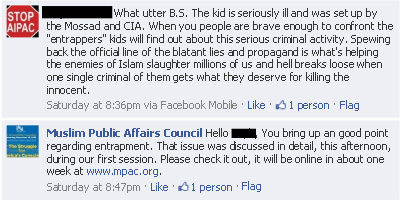 MPAC's response ignored the speaker's racism and paranoia and refused to disassociate itself from this false narrative: "You bring up an [sic] good point regarding entrapment. That issue was discussed in detail this afternoon, during our first session." Even if MPAC hadn't spent the bulk of the conference attempting to whitewash Islamic extremism and condemning U.S. law enforcement efforts to investigate Islamic terrorism—arguments which should make them persona non grata in combating homegrown terrorism—speakers at the event urged listeners to refuse to cooperate with efforts to fight terrorism. MPAC Executive Director Salam al-Marayati also said planned hearings by the House Homeland Security Committee to investigate the problem of Islamic radicalization were wrong. Rep. Peter King, the New York Republican who will lead the committee, "basically wants to treat the Muslim-American community as a suspect community," Marayati said. Salahi called the planned hearings "McCarthyesque." Angela Oh, the executive director of the Western Justice Center Foundation, went further. "Anybody subpoenaed has to get counsel," Oh said. "That counsel has to refuse to let their client testify. They send a letter, they say 'Thank you very much, we'll decline the opportunity to appear.' That has to happen as a practical matter." Not only was this call for non-cooperation not denounced, the other panelists appeared to agree with the advice. 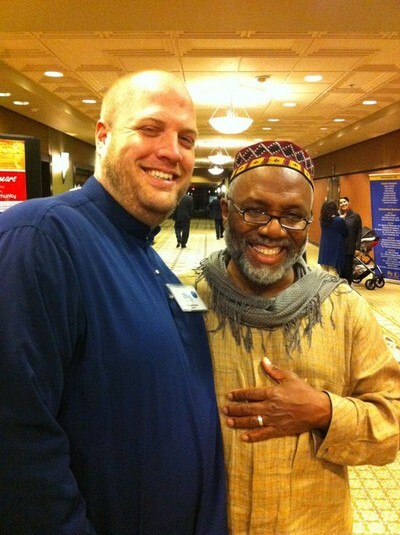 For a group that seems to be the main voice of American Muslims with law enforcement, the speakers at MPAC's 2010 conference seem devoted to showing what they can do to avoid cooperating. Calling on its members and the broader American Muslim community to refuse to cooperate with congressional hearings on the threat of homegrown terrorism, denouncing critical U.S. counterterrorism tools, and whitewashing the threat posed by Islamic extremists—all of this makes MPAC an inappropriate partner in countering Islamic terrorism.